Very clean and maintained Herreshoff design! 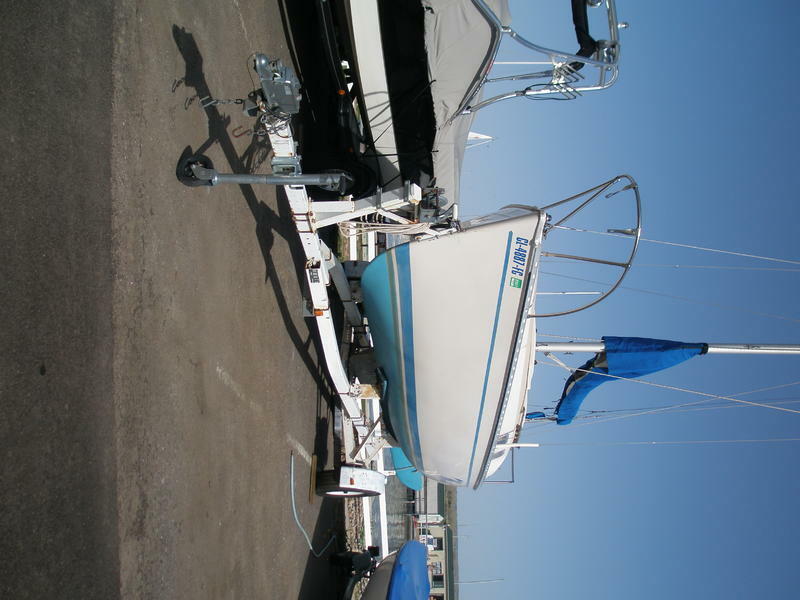 New/replaced in 2003:topping lift line,halyards, keel winch & trailer jack. 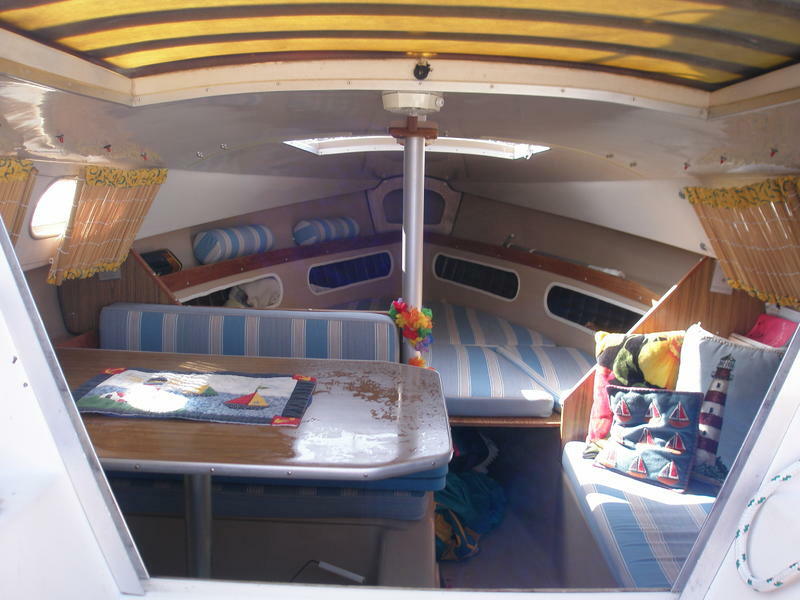 Main sail reconditioned in 2006 by Sail Care with full battens. Jib & Storm Jib. 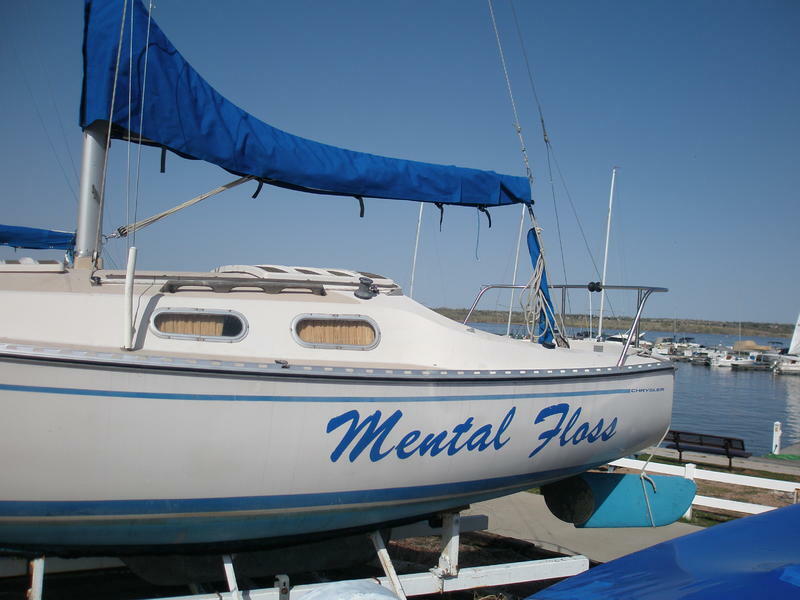 New headsail cover, tiller & main sail covers. Newer undercoating. Mercury 15 HP outboard engine. Anchor, life vests, portable toilet. Trailer has new tires. 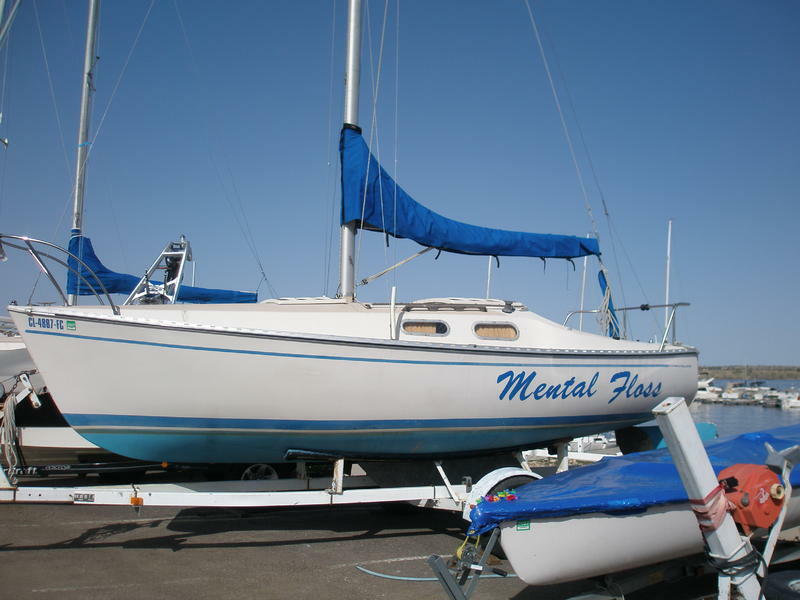 Trailer with new tires, 15 HP Mercury outboard, storm jib, genoa, swing keel, swim ladder mounted on stern, fenders, dock lines and more!